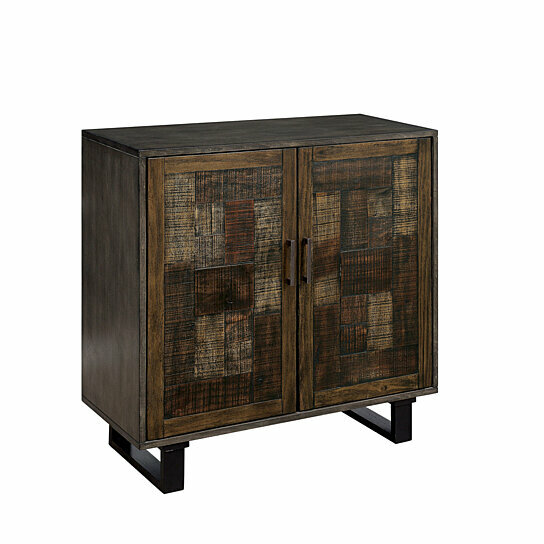 Add a touch of impressive style and rustic texture to any room in your home with this hallway cabinet. Sturdy wood and wood veneer constructed hallway cabinet consisting two door with easy pull-out metal handle for storage. It has four shelves inside under two doors and also have basket weave pattern offering a visual look. Featuring an vintage inspired look, this storage unit will give home decor an alluring, sophisticated and beautiful look. This hallway furniture piece offers a perfect platform for a vignette to an entryway, living room or bedroom.